We thought it would be helpful to compile a list of all the scrapbooking kit clubs we could find. If you are aware of any other kit clubs, please leave us a message and we'll add them to this growing list. Enjoy!!! Can I also suggest a couple of my favourites? Does a "kit club" need to be a subscription site? Bellaboo do a monthly kit, which is always lovely, but I don't think you can subscribe to it - you can subscribe to their newsletter though, which will tell you when the kit is out. Hi there! I am new to this site, so I am jumping right in. http://www.piggytalesacademy.com has monthly kits as well. I think I am going to enjoy myself here. So? Do I just select one of the links and see what they are offering in their kits and make up my own? That sounds easy enough...and great way to use up my stash. Something I need desperately to do. here is one I don't see on your list! here's a great kit club! I found this sight through on pin on pinterest. It was for crochet doilies. Where do I find this kit? They have monthly kits for scrapbooks, cards, stamps, templates, class in a box, stencils and a few more... I get the scrapbooking and stamps ones regularly to Argentina every month for almost 2 years now and they are really good, packed with plenty of ideas on a brochure and DVD. scrapbook.com has a kit club. They design kits that anyone can order. If you are in the club, they give you a discount code. Costs nothing to be in the club. Is there any chance you can list the country they are from? As mentioned May 23 2011 by Maria Onteveros, Club Scrap was the first kit club. Their first kit was out June 1999. I joined in Nov. '99 and have a member since. A shout out to Maria from CA and me, Julie, from MD. friends over the years members in Club Scrap. A bit of a delayed response. I currently use craft templates/quirky kit. it's 22 every 2 months. You pay March... get the kit April etc. thanks for creating this page. 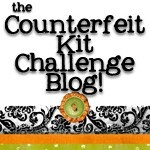 It can be so hard to find and compare all the different kits available. I love how you have broken it up into countries also. As great as it is to subscribe to overseas kits finding one in your own country and being able to support the industry in your own country is important to me. Sure thing! thanks for getting in touch!